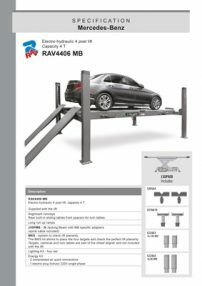 RAV 3D Alignment and Lifts Approved by MERCEDES! 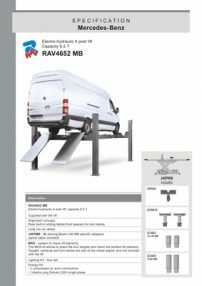 No doubt that the highlight of our Automechanika Show has been the recently obtained approvals from Mercedes for our 3D aligner and for our alignment 4 post lifts. After a thorough metrological and field-testing process, the following 3 products in special Mercedes configuration have been approved and are now available in production! More details are available in the attached product brochures. 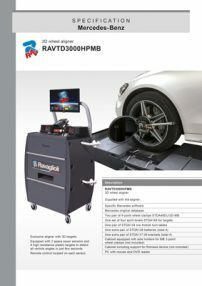 Please use this endorsement from a major car manufacturer to further strenghten your team and your customers confidence in RAV wheel alignment systems.